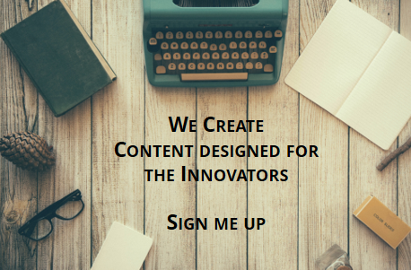 We talk a lot about, and also to, innovation managers here on the blog. In fact, we have an entire section dedicated to them. At HYPE’s annual event in Bonn the topic was also in the limelight. 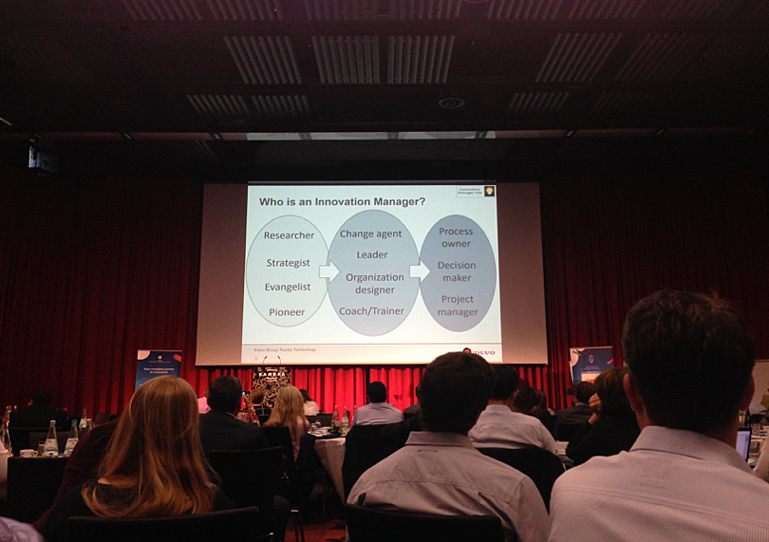 Mike Hatrick (the event moderator) asked the question: who really is the innovation manager? In his presentation, Mike mentioned the researchers, strategists, evangelists, pioneers that go on to become change agents, leaders, organizational designers, coaches/ trainers, and ultimately fill the seats of process owners, decision-makers and project managers. That’s quite a journey, isn’t it? As it turns out that is not the full story. Not according to Wim Vanhaverbeke, Jim Cheng and Henry Chesbrough, at least. In a recent study, and using a LinkedIn dataset, the researcher trio delved deeper into the topic and published a report on the profile of open innovation managers at multinational companies. Here are some key points from their work – download full report here – infused with examples and further reading. Why is this type of study important? While open innovation (OI) is widely used in organizations large and small and we do know a great deal about managing the process, there is surprisingly little information about the actual person, or team of people, at the helm. “Who are the managers operating in open innovation teams or units? How long is their tenure in the company? What activities do they typically engage in?” are all open questions. As more companies invest in OI departments and teams, though, it’s essential to answer them promptly; and from then on, to assign the right person to the job. 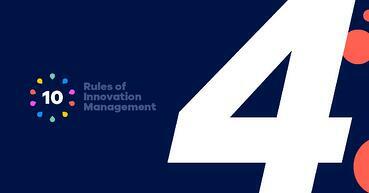 OI managers are also part of the larger open innovation culture, making their role all the more important. For the study the research team used LinkedIn data. 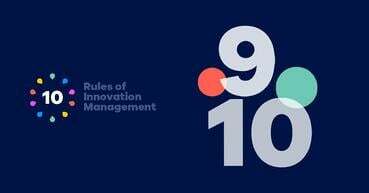 An initial broad search in 2016 revealed that 1,049 managers worldwide had, at that moment, “open innovation” in their job title. The industries most open to OI jobs were: consumer goods, pharmaceuticals, telecommunications, chemicals, computer software, food and beverages, consumer electronics, banking, biotechnology, financial services, and automotive. Next, the team searched for OI positions in 2010-2012 at one of the 32 selected companies - all large multinationals. Restricting the search to a certain reference period was extremely important as it allowed a careful analysis of these managers’ trajectories – i.e., before, during and after their OI tenure. Ultimately, the sample included 158 managers. managers’ new position or title as well as age in October 2016 (the end of the reference period). What is the profile of the open innovation manager? The average age of an OI manager in the sample was 43. Interestingly, very few OI managers were younger than 35. The average tenure at the multinational employing them was 15 years. This was not surprising: managers who work with OI should know their company very well to understand its business needs. Additionally managers should have a strong reputation and seniority so that colleagues take them seriously and use the open division services of the team. The average number of years an OI manager stays in an OI position is 84 months (seven years). OI is therefore not a transitory job but rather a long-term commitment. While 40% of OI managers had an R&D background, most came from marketing (14%), operations (9%), engineering (6%) and project management (6%). This finding confirmed that innovation implies a marriage of scientific and technical insights. What are the tasks of an open innovation manager? Providing strategic linkages to legal and IP expertise in the company. OI managers try to create the spaces where scientists can safely and freely interact with other experts. Airbus does this in their Protospace, Merck has invested in an Innovation Center; Nokia has its thriving Innovation Platform etc. Providing a friendly point of contact and a navigable route into the company; Liberty Global’s innovation team is a great example. What do open innovation managers do after? 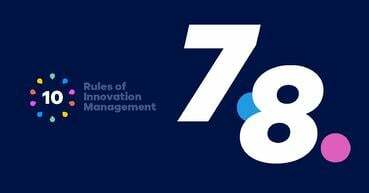 Out of the 158 open innovation managers in the sample the overwhelming majority (72%) stayed within the organization after the reference period. The average tenure of those who stayed was 15.8 years. Apparently, the longer managers worked in OI, the less likely they were to jump to another type of job. 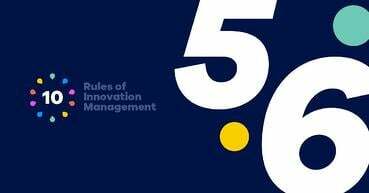 The report also found that of the 48 managers who left the field of open innovation, 46% returned to their previous job type. The latter makes a strong case for temporary teams. Although this study was exploratory and had several limitations it offered a valuable glance at what one of the most treasured assets a company can own: its open innovation workforce. Understanding this workforce better and supplying it with the necessary resources (including freedom to experiment) is perhaps one of the most important predictors of innovation success. Hence, well worth the investment. Have our OI leaders helped employees get on board? Have our OI leaders reassured employees that OI is here to stay? Have our OI leaders helped reshape the larger definition of success within the firm? Have our OI leaders helped enable internal OI capability building? "Practitioners always need to balance two distinct sets of concerns: one focused on organizational structures and linkages with external collaborators and one focused on the process of managing implementation internally"